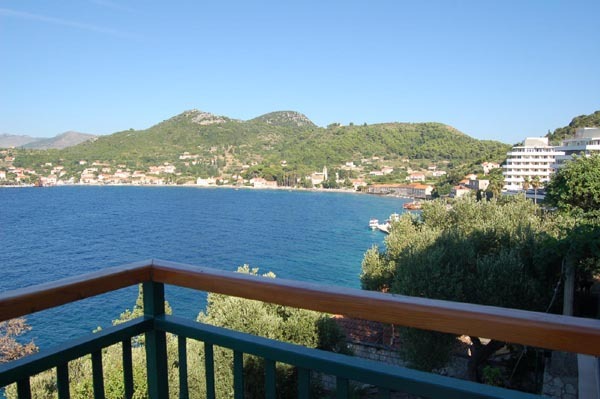 The home of Hilda and Zarko Gale is beautifully situated about 10 minutes away from the "centre" of Lopud. In 2009, on the first floor three new apartments were built. 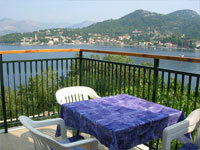 These apartments of various sizes all have a balcony with stunning views over the bay of Lopud. 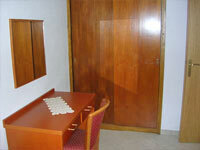 The apartments are about 300 meters next to hotel Lafodia and 1300 meters from the port and ferry terminal. Between the port and this house is the centre of the village. The house is on the raised promenade that goes to the point of the peninsula. Here you have a great sea views. The house has on the bay a private dock with swimming ladder. 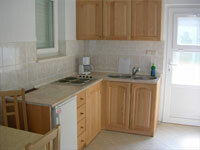 All apartments have air conditioning, satellite TV and a well equipped kitchen. The nearest restaurant is already 3 minutes away. This is the largest apartment. 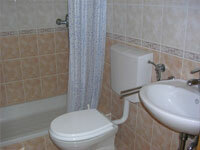 It consists of two bedrooms, one with a double, the other with two single beds. The living room has a kitchenette with a dining table. There's also a sofa bed for a fifth person. 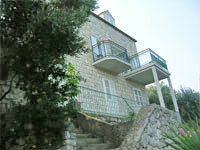 The large balcony, at the side of the house, offers views over the Lopud village and the bay. Balcony apartment 1. Balcony apartment 1. 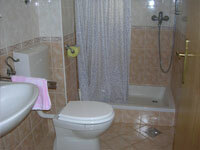 Bathroom apartment 1. Balcony apartment 1. This apartment has a bedroom with double bed. The living room has a sofa bed for two children. There are in this living room a kitchen and a dining area as well. This is the apartment in the middle of the house. 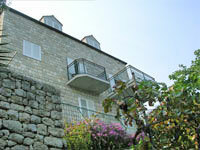 It has the smallest balcony, but still normal size, overlooking the bay. This apartment has one double bedroom. The Living has a kitchenette and a dining area. Here is also a sofa bed for a third person. This apartment has the largest balcony with a beautiful view. bedroom apartment 3. kitchenette and dining area.